Market Coupling is the use of an implicit auctioning system, where transmission capacity represents an input parameter in the exchange of offers between two or more power exchanges. 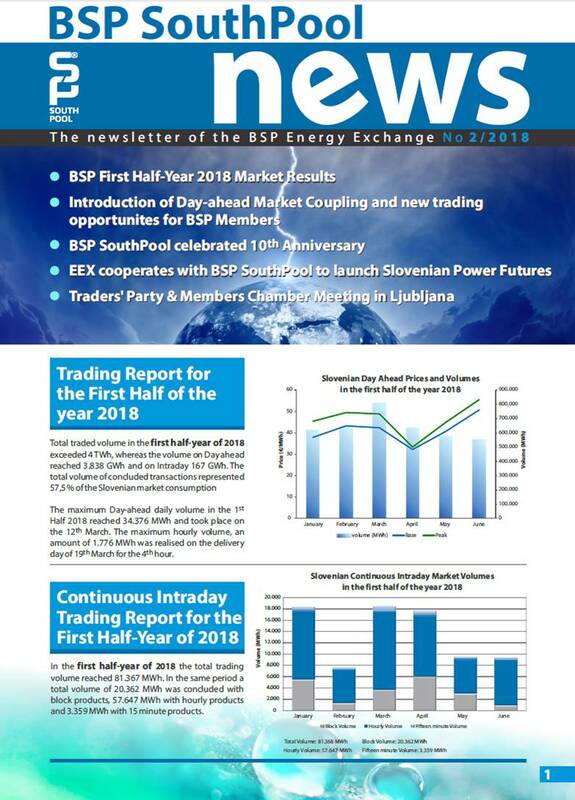 In cooperation with other European Power Exchanges and System Operators BSP successfully implemented a project of Day-ahead market coupling on slovenian-italian and on slovenian-austrian border. On the 22nd of June 2016 we have additionally introduced, as a European pilot project, an implicit Intraday market coupling on slovenian-italian border. Mandatory field Security question* Please add 5 and 4. Mandatory field Security Question* What is the sum of 1 and 8?